What Crystals can be Used in Orgonite? A very common question that newcomers have is what crystals they can use in orgonite. The simple answer to that is: you can use any crystals you feel like using, as long as you have one main piezoelectric crystal in the mix. Piezoelectricity is one of the main reasons that orgonite works the way it does. A piezoelectric substance is one that generates an electric charge when mechanical stress is applied onto it. Piezoelectricity mainly comes up when we talk about crystals, but there are other piezoelectric substances too: sugar, sand, bone, wood and silk, to name a few examples. However when talking about orgonite, we want to focus on piezoelectric crystals. Orgonite is made from resin, metal pieces, and a piezoelectric crystal such as crystal quartz. When resin is cured, it shrinks slightly, thus putting mechanical stress on the crystal inside. This causes the crystal to give off a small electric chargecharge, which is thought to be the action that restores dead or chaotic orgone energy to its natural, balanced state. So for orgonite to work as it should, it must contain at least one good-sized piezoelectric crystal. 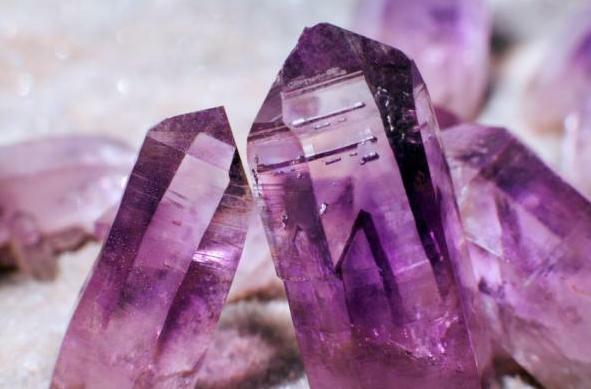 Some piezoelectric crystals are: clear quartz, amethyst, citrine, aqua aura, topaz and tourmaline. Most people who make orgonite will use crystal quartz as their main crystal, as it is easy to get hold of, and has a versatile energy that suits most healing purposes. Many people like to add additional crystals to their orgonite. This has the effect of “flavouring” the energy. So for example, an orgonite used for meditation might contain amethyst and lapis lazuli. For protection and grounding, one might use black tourmaline, onyx or amethyst. You can read more about different properties of commonly used crystals here. It’s usually recommended not to use too many different crystals in orgonite. It’s a bit like cooking – if you add too many different ingredients without making sure they go well together, you confuse the flavour. The crystals used in orgonite need to be compatible with each other, and I personally stick to two, maximum three secondary crystals. Sometimes I get custom requests for orgonites with many different crystals, mostly because people want to work on different areas of their lives. For example, someone may ask for rose quartz for attracting love, amethyst for help meditating, tourmaline to keep them grounded, and citrine for confidence. I usually advise people to stick to one major issue. Usually, if you manage to dig down to the root of the issue and really pinpoint the problem, you’ll see how it affects other parts of your life too. So by choosing the right crystals for that one issue, you’ll usually improve other areas of your life too. If you are making more than a couple of orgonite pieces, then it usually works out cheapest to buy your crystal quartz in bulk . For secondary crystals, Crystal Age or GeoFossils on Amazon are good sources for a wide range of crystals. To find out about more orgonite-making supplies and where to find them, this article may be helpful to you. I’m wondering if there is any particular way the quartz or other crystals is supposed to face especially in the pendants. Points in any direction? And are they often hidden under everything else? Would using a copper wheat penny help anything?Thank you for your help. The quartz crystals are usually embedded in the metal shavings, so yes they are hidden. I haven’t come across any information about the position of crystals being important, although when people make pyramids they will usually position the crystal pointing upwards. I suggest (if you are into making orgonite) that you experiment and see for yourself 🙂 And I’m not sure what a wheat penny is exactly, sorry.